Good music disturbs the soul, it expresses feelings you can’t articulate, it heals, and brings truth to light. “A Seat at the Table,” Solange’s newest album does just that. A modern day black woman’s truth of what it means to live in a 2016 America. I purchased this album a few weeks ago and haven’t stopped listening to it since. Full of soul, each song in “A Seat at the Table,” awakens a different emotional reaction to the melody. This record is unapologetically for anyone who can relate to black culture in America. The song, “Rise,” starts the album with a very powerful message of self-healing. The chorus, “fall in your ways, so you can crumble. Fall in your ways, so you can sleep at night. 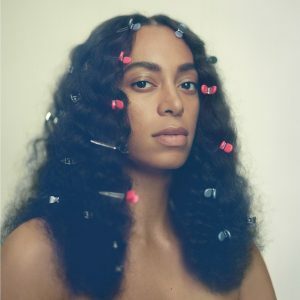 Fall in your ways, so you can wake up and rise.” I believe this song was Solange’s way of releasing the truths of her life in order to move forward. 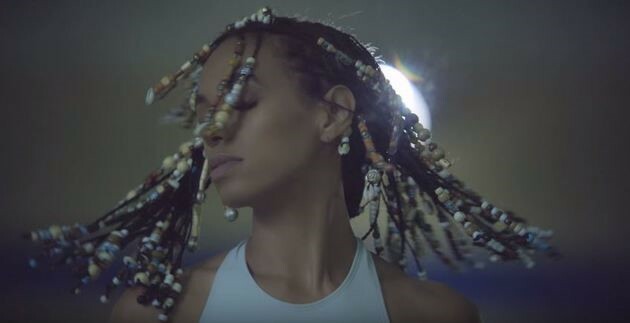 In the song, “Weary,” Solange encourages listeners to be cautious of the ways of the world. I interpret these words as racial injustices and classism that many people in America; especially people of color are faced with. In the interlude following the song “Weary,” Master P speaks on finding peace and glory from within. My favorite song on the album, “Cranes in the sky,” beautifully written, conveys all of the things that we as women do to escape painful life experiences. “I tried to drink it away. I tried to put one in the air. I tried to dance it away. “Mad,” feat. Lil Wayne expresses the current state of being black in America, from our fathers, brothers, and sisters being killed by police officers, to presidential candidates who don’t give a crap about us fighting over our vote. “Yeah, but, I got a lot to be mad about. Got a lot to be a man about. Black people have a lot to be mad about, but it’s often frowned upon when we express it publicly. Tina Lawson, expresses this in the interlude, ‘Tina Taught me’, she said that being “pro-black,” doesn’t mean anti-white; it means a black person loving themselves and culture. Another interlude in the album, “I got so much magic, you can have it.” Serves as an anthem for black girls and all the magic that comes along with the melanin beauties. The track, “Junie,” is a perfect transition from the interlude and is playful and fun. This song makes you want to fluff your Afro, grab your biggest shades, put on your cutest outfit, and go out and celebrate being black. Released during a fragile time in our culture, “A seat at the table,” encapsulates many of the emotions black Americans are currently experiencing. I encourage every woman and man of color to purchase “A Seat at the Table,” and reflect on it’s creatively crafted message of black empowerment. The List: Should I Ditch It or Submit It?